Congrats, Michael! Expect an email from me, asking for your mailing address. I'm taking a blogging break for a few weeks, to get ready for Christmas and still have time to work on my fourth novel and some picture books. Those of you who know me on Facebook may already have heard this, but I just signed my first contract with Highlights for Children, for a rebus story. I know they don't publish right away (or ever), but it's a sale, and I'll take it! I normally wouldn't mention things like this on the blog, but I'm tickled pink because the first time I submitted anything to Highlights was in 1995. So there's a lesson for all you aspiring writers. 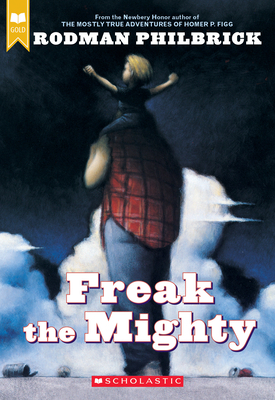 new treasures in Children's literature in 2014 and share them with all of us! Hope everyone had a nice Thanksgiving weekend and didn't have to go shopping that day. I'm wondering how long it will be before retailers start trying to get you to do your Hanukkah/Christmas/Kwanzaa shopping in August... Will this consumer madness ever stop? Okay, forget I asked that. So buy books, people. If you must buy something, buy books! Preferably from brick-and-mortar stores. Small Business Saturday doesn't have to be limited to the Saturday after Thanksgiving. Thank you. I'll get down from my soapbox now. Congratulations, Rosi! And expect an email from me asking for your mailing address. Readers, don't forget my other giveaway, the signed hardcover of THE WIG IN THE WINDOW by Kristen Kittscher, still going on at this post. I have no MMGM book review this week, due to family celebrations and travel, but if you go to Shannon's blog, you can find links to many other wonderful posts. However, I do have a middle grade quote for you. "Books are like truth serum – if you don’t read, you can’t figure out what’s real." What do you think, reader? Do books help you figure out what's real? Last week, I had a blast meeting seven middle grade debut authors at once. Yes! I made it to the last stop on the Lucky 13s VENTURES AND MISADVENTURES tour! I got quite a few pictures (most were a little blurry because I didn't want to use flash and, you know, blind them all). 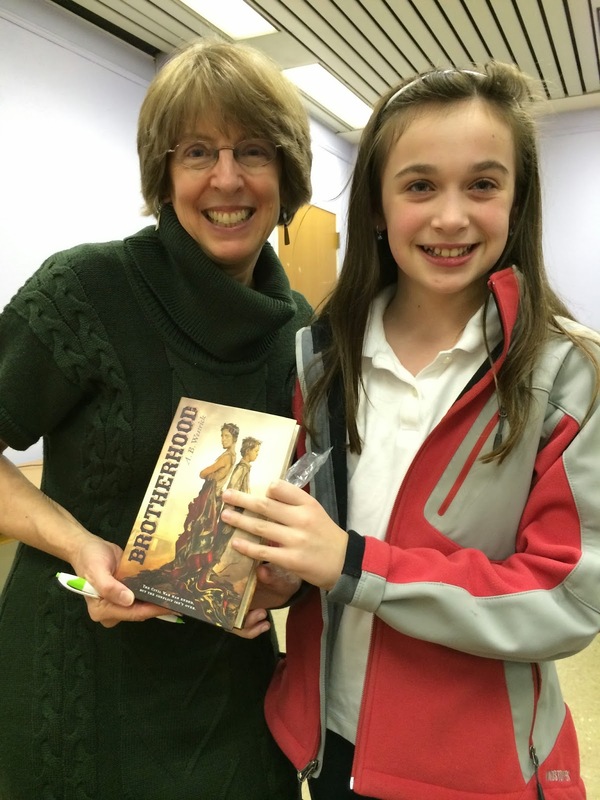 Thanks to Haverford Township Free Library and Children's Book World for hosting the event. Scroll down for info on the books. although Kristen admitted it took many years and at one point she started over! 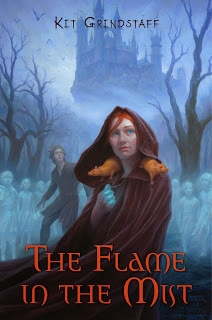 Here, Kit talks about THE FLAME IN THE MIST while Kristen looks on. The audience got to play a fun game! They took turns pulling out a slip of paper from the Magic Jar of Literature and reading the sentence aloud. They then tried to guess which of the seven books it came from, after which the author read the entire passage. Every kid in that audience was eager to participate. Melanie Crowder reads a moving passage aloud from PARCHED. Any of these books would be a great addition to your middle grade shelves. They range from funny to serious and include fantasy, realistic contemporary, and historical. In this darkly-atmospheric fantasy, Jemma Agromond learns she's not who she thinks she is, and when the secrets and lies behind her life at mist-shrouded Agromond Castle begin to unravel, she finds herself in a chilling race for her life. I've recommended this book before, in this post. 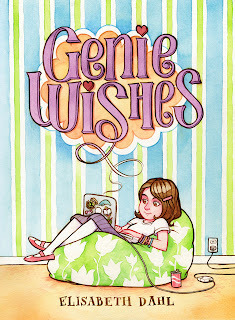 Genie has been selected to be the class blogger and write down the wishes and dreams of her classmates. But it's scary to express her opinion in public. What if her class gets upset? Parched by Melanie Crowder (HMH Books for Young Readers, ages 10 to 14). In this haunting, evocative eco-fable, written in a gorgeous prose that's almost poetic, a boy, a girl, and a dog struggle to survive in a world gone dry. I'm in the middle of reading this one, and I'm taking my time so I can savor the language. I first heard about this book from Akossiwa Ketoglo in this post. 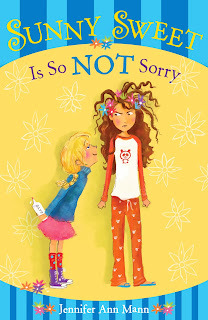 Sunny Sweet is SO Not Sorry by Jennifer Ann Mann (Bloomsbury USA, ages 8 to 12). Eleven-year-old Masha has a six-year-old evil genius for a sister. Most of the action takes place in one crazy day, starting when Masha wakes up with plastic flowers glued to her hair. First in a series! Brotherhood by A.B. Westrick (Viking Juvenile, ages 10 and up). The Civil War has ended, but for fourteen-year-old Shadrach, who lives in Richmond, Virginia, the conflict isn't over. 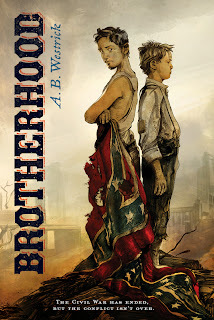 His older brother takes him to a meeting of a secret society whose mission is to protect Confederate widows. But when Shad realizes what the KKK is really doing, he must make a decision. 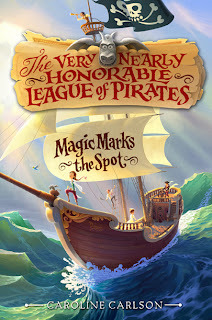 Magic Marks the Spot (The Very Nearly Honorable League of Pirates, Book One) by Caroline Carlson (HarperCollins, for ages 8 to 12). Hilary has always wanted to be a pirate. But the Very Nearly Honorable League of Pirates won't take girls. So Hilary sets out on her own high-seas adventure, with her best friend, a talking Gargoyle. Plenty of shenanigans abound. 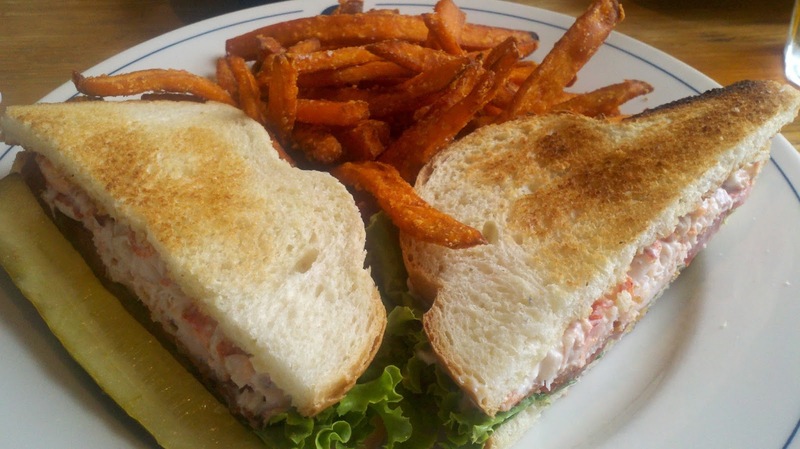 Read Natalie Aguirre's interview with Caroline on Literary Rambles at this post. 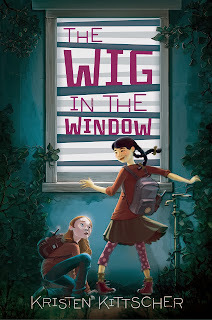 The Wig in the Window by Kristen Kittscher (HarperCollins, ages 8 to 12, first book in a series!) Sophie Young and Grace Yang are best friends, and spies. Fans of funny middle-grade mysteries will devour this fast-paced contemporary mystery, set in a California beach town.The girls find more than they bargained for when they spy on their neighbor, Dr. Charlotte Agford (aka: Dr. Awkward), the middle school guidance counselor. What is Dr. Awkward hiding? Kristen admitted this book is "somewhat autobiographical" because she had a spy club with her own best friend when she was in school. So the story has a highly authentic feel, as Sophie and Grace sneak around, make accusations, and get in deep trouble. And the best part is, I'm giving away my signed hardcover copy of The Wig in the Window (only because it's the first book I finished reading)! Plus it comes with a pen, so you can write your own spy notes. To enter, all you have to do is become a follower and comment on this post. International entries welcome. This giveaway ends at 10 pm EST on Sunday December 8 and the winner will be announced on Monday December 9. Good luck! 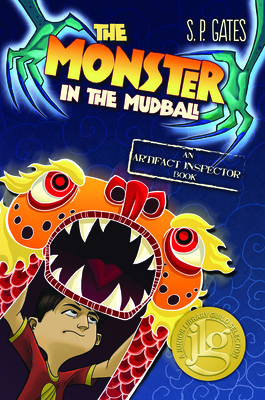 Don't forget you still have nearly a week to enter my other giveaway, for a hardcover of The Monster in the Mudball. Go to that post to enter. The Monster in the Mudball -- and a Giveaway! Synopsis (from the publisher): In this Junior Library Guild selection, eleven-year-old Jin must run around the English town of Newcastle-upon-Tyne trying to track down a monster named Zilombo. Jin teams up with Chief Inspector of Ancient Artifacts A. J. Zauyamakanda, or Mizz Z, for short. Zilombo gains new, frightening powers every time she hatches. Now the monster is cleverer than ever before . . . and it appears that Jin’s baby brother has disappeared! Will Jin’s baby brother be next on Zilombo’s menu? As the monster’s powers continue to grow, Jin and Mizz Z must find a way to outsmart Zilombo! Why I liked it: This is a lively, fast-paced, multicultural fantasy adventure. If you can put up with a bit of head-hopping between characters in this brisk, third person narrative, you'll be rewarded with a great tale. Mizz Z is terrific. Jin's older sister Frankie has an important part to play. But mainly, you'll find yourself cheering for Jin -- the first protagonist I've ever encountered who has dyspraxia, a neurological condition that affects coordination. How he handles that, and helps save the day, makes him a fascinating character. A little about the author (from the publisher's press release): S.P. Gates began her writing career over twenty-five years ago as an English teacher who wrote stories for her classes. One day she decided to send one of her stories in to a publisher and, to her amazement, her story was published. She is now the award-winning author of more than one hundred books for young readers including both middle grade and young adult fiction. Gates drew inspiration for The Monster in the Mudball from her time teaching in Malawi, Africa. Additionally, Jin, who has dyspraxia, is based on the experiences of Gates’ son, Alex, who also grew up dyspraxic. “Other children who have special educational needs might be interested to read how, despite his problems and to his own amazement, Jin becomes a hero,” Gates says. And yes, I'm giving away that hardcover copy that Tu Books sent me for review. It comes with its very own "egg" from which you can grow your own monster! To enter, all you have to do is be a follower and leave a comment on this post. International entries welcome. This giveaway ends Sunday Dec 1, 2013 and the winner will be announced Monday Dec 2. I was in heaven on November 1st. Or, more precisely, I was at Children's Book World, in Haverford, PA for their annual Author and Illustrator night. My only regret (besides the fact that I forgot to take photos - kicking myself, here) is that I didn't have enough money to buy a book from each of the more than 30 authors or illustrators present. And of course there wasn't enough time to talk to all of them. 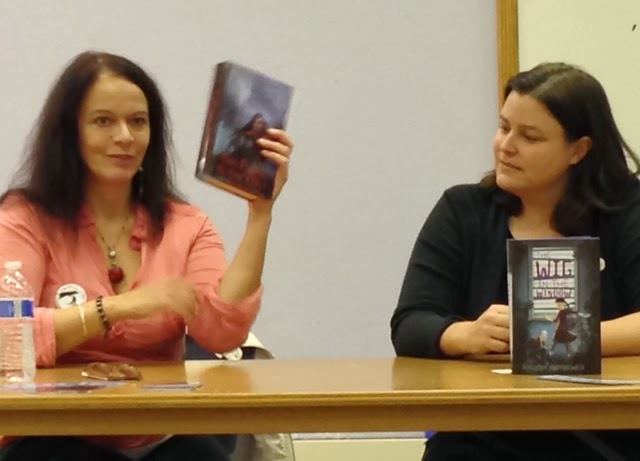 This is actually a photo of Ellen Jensen Abbott from a previous event at CBW in October! But I did talk to my friend Ellen Jensen Abbott, my friend K.M. Walton, and also Tiffany Schmidt, E.C. Myers, Ame Dyckman, Jen Bryant, Elisa Ludwig, Lisa Papp and Robert Papp, Lee Harper, and Jerry Spinelli and Eileen Spinelli. These were the books I purchased that night! Also in attendance was my friend Ilene, whose YA deal (as I.W. Gregorio) was just announced in Publishers Marketplace. Yay, Ilene! Best conversation of the evening: I told Jerry Spinelli that I just finished the rough draft of my third novel the day before. And I asked, "What advice can you give me?" He said, "First, treat yourself to a milkshake because you've done something most people never do. You've finished a novel." Then he told me to wait THREE MONTHS before tackling the revisions. As I thanked him and walked away, he said, "Remember! Three months!" So I'll take your advice, Jerry. I'm letting it marinate until the end of January. And I'm already writing my fourth novel. But if there's anything I've learned in my years of writing, it's that there is no right or wrong way to revise a novel. Just like there is no right or wrong way to write a rough draft. How long do you wait before revising a rough draft? Do you put it away and let it simmer? Or do you dive right into draft two? This week's MMGM is the third in a trilogy that started in 2004 with Al Capone Does My Shirts, continued in 2009 with Al Capone Shines My Shoes and now concludes with another exciting tale from Alcatraz in the 1930s. For other MMGM links, see my sidebar or Shannon's blog. 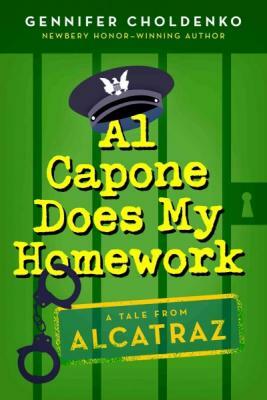 Al Capone Does My Homework by Gennifer Choldenko (August 2013, Dial Books for Young Readers, historical fiction, for ages 9 to 12). Source: Purchased from bn.com using the gift card I won from Michael Gettel-Gilmartin. Thanks, Michael! Synopsis (from Indiebound): Alcatraz Island in the 1930s isn't the most normal place to grow up, but it's home for Moose Flanagan, his autistic sister, Natalie, and all the families of the guards. When Moose's dad gets promoted to Associate Warden, it's a big deal. But the cons have a point system for targeting prison employees, and his dad is now in serious danger. After a fire starts in the Flanagan's apartment, Natalie is blamed, and Moose bands with the other kids to track down the possible arsonist. Then Moose gets a cryptic note from the notorious Al Capone himself. If Moose can't figure out what Capone's note means, it may be too late. Why I liked it: The character of Moose won me over in the first book, and his voice is just as likable in this volume. Thirteen-year-old Moose wants to do what other kids do; play baseball, run around, avoid homework. But he often has to babysit for Natalie (although Choldenko wisely never mentions the term "autism", since it wasn't used yet in 1936). After the fire, Moose discovers suggestions from Al Capone in a notebook that escaped the flames. I loved the way the author managed to work this in, making it seem like Capone is critiquing Moose's homework. But the information turns out to be far more important than that. It probably would help to read the first two books, but Choldenko has so skillfully introduced the situation and the time period and characters (without any info dumps) that this proves to be a smooth and enjoyable read whether you've read the first two books or not. Which also makes this a great book for writers to study. As we prepare to turn our clocks back here in the US next Sunday (and gain an hour of sleep - bliss! ), I thought I'd do something different today. Do you ever try to read seasonally? I don't mean reading Christmas or Hanukkah stories near those holidays. I mean, by the season itself. For instance, every few years I re-read The Secret Garden in the spring. It has to be in spring, when the grass is growing greener and the forsythia and magnolias are blooming. Reading along with the season seems to give the book more meaning, makes it more of a celebration. 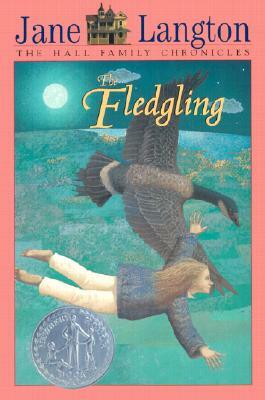 So this autumn, I decided to re-read The Fledgling, by Jane Langton. Part of the Hall Family Chronicles and still available in paperback; the first image (on the left) is a photo of my well-loved Harper & Row hardcover from 1980. I bought the book before it was awarded a Newbery honor in 1981. The second image shows the Harper paperback from March 1981. Personally, I prefer the hardcover image. This gorgeous story about Georgie, a young girl who gets flying lessons from a goose, is a beautiful evocation of childhood and the universal dream of flying, but it's also a song of praise to autumn. This book is rich in sensory images of New England in the fall: leaves turning scarlet, the air growing crisp and cool, geese flying south for the winter -- and oh, their honking, which Langton brings to life in a most creative way. This quiet little story may seem old fashioned today, when stories have to be faster-paced, with less description, but if you let that stop you from picking it up, you'll be missing a great read. Yes, it's descriptive. But there's plenty of conflict, since both the nosy neighbor Miss Prawn, and the bank president Mr. Preek, are trying to stop Georgie from going on her nightly flights with the Goose Prince. What books have you read that bring a season to mind? "All reality, I decide, is a blender where hopes and dreams are mixed with fear and despair." 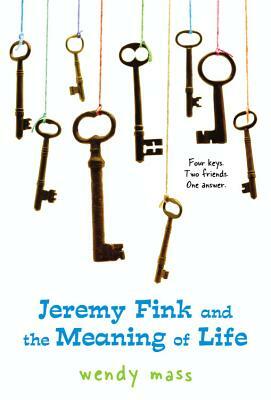 See last week's post for my review of this amazing book. 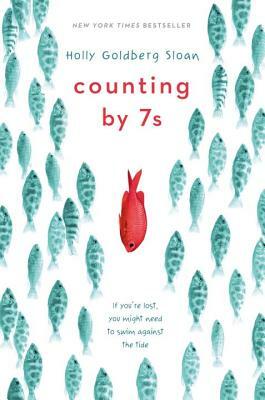 Counting by 7's - Newbery guesses, anyone? It's never too soon to start wondering what middle grade novel will win the Newbery Medal in January, and which ones will be honor books. I rarely guess them right (except for the year When You Reach Me won the medal), but I always enjoy trying. Source: I won the arc from Gina Carey. If you haven't yet visited her very cool blog, be sure to check it out. Synopsis (from Indiebound): Willow Chance is a twelve-year-old genius, obsessed with nature and diagnosing medical conditions, who finds it comforting to count by 7s. It has never been easy for her to connect with anyone other than her adoptive parents, but that hasn’t kept her from leading a quietly happy life . . . until now. Why I loved it: Like Auggie in Wonder, Willow is one of those unconventional characters -- intelligent, observant, fragile, and yet strong -- who stay with you long after you turn the last page. The voice is perfect. There's a surprising amount of humor in what could have been a tearjerker. Chapters narrated by Willow in first person alternate with chapters in third person that give us insight into not only Willow's character but into the refreshingly real cast of secondary characters, a multicultural group of people who come to love Willow as much as you will. What book do you hope will win the Newbery in January? For other MMGM participants, see my sidebar or Shannon's links. Isn't that the coolest cover EVER? Doesn't it make you desperate to read the book? When newly orphaned Jax Aubrey awakes to a world without people the day after his thirteenth birthday, he thinks it’s the apocalypse. But then the next day is a regular old Thursday. Has Jax gone crazy? What’s going on? Go visit Dianne's blog to find out more and to congratulate her! Synopsis (from Indiebound): Fourth grader Odessa Green-Light lives with her mom and her toad of a little brother, Oliver. 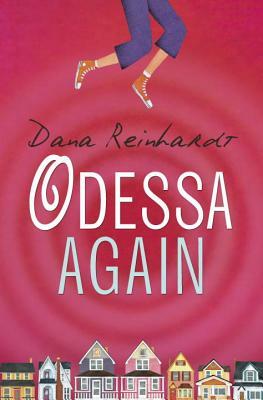 Her dad is getting remarried, which makes no sense according to Odessa. If the prefix "re" means "to do all over again," shouldn't he be remarrying Mom? Meanwhile, Odessa moves into the attic room of their new house. One day she gets mad and stomps across the attic floor. Then she feels as if she is falling and lands . . . on the attic floor. Turns out that Odessa has gone back in time a whole day! With this new power she can fix all sorts of things--embarrassing moments, big mistakes, and even help Oliver be less of a toad. Her biggest goal: reunite Mom and Dad. Why I liked it: This is exactly the kind of book I would have adored as a ten-year-old. It's fun, escapist reading, with time travel! But at the same time it delves into contemporary issues real kids face. I loved Reinhardt's unique treatment of time travel. This isn't like 11 Birthdays or Groundhog Day. The first time Odessa falls back in time, she goes back exactly 24 hours. The next time, it's 23 hours, then 22, and so on. You can see where this is heading. Reinhardt mines the comic possibilities to the fullest, but you also might find your heart pounding when time begins to run out. What's your favorite time travel novel? "Only great ideas come when you are running. It is the way of things." What do you think, reader? Do your best ideas come to you when you're running (or swimming, walking, or biking)? Congratulations and expect an email from me! MMGM Loki's Wolves -- and a Giveaway! I've been wanting to read this book ever since I first heard about it in Publishers Weekly. Melissa Marr and Kelley Armstrong, two popular YA novelists, have collaborated on their first MG series, The Blackwell Pages. I finally bought a copy of the first book and yes, I will be giving it away. Details at the end of the post. Synopsis (from Indiebound): "The runes have spoken. We have our champion...Matthew Thorsen." Matt hears the words, but he can't believe them. He's Thor's representative? Destined to fight trolls, monstrous wolves and giant serpents...or the world ends? He's only thirteen. While Matt knew he was a modern-day descendent of Thor, he's always lived a normal kid's life. In fact, most people in the small town of Blackwell, South Dakota, are direct descendants of either Thor or Loki, including Matt's classmates Fen and Laurie Brekke. No big deal. But now Ragnarok is coming, and it's up to the champions to fight in the place of the long-dead gods. Matt, Laurie, and Fen's lives will never be the same as they race to put together an unstoppable team, find Thor's hammer and shield, and prevent the end of the world. Why I liked it: It's a fast-paced, thrilling adventure for kids and young teens. The authors waste no time in sending Matt, Fen, and Laurie on a dangerous journey to find the other descendants. There are trolls, giant wolves, and police officers trying to stop them. In addition, the authors do an excellent job of filling us in on Norse mythology without hitting us over the head with it. Boys and girls will enjoy this, since Laurie certainly holds her own against the guys. Give this to fans of The Lightning Thief. Now for the giveaway! 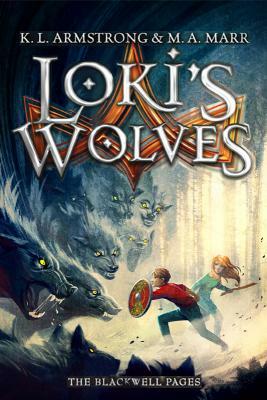 I will be giving away one hardcover of Loki's Wolves to one lucky follower of this blog. International entries welcome. You MUST be a follower and you MUST leave a comment on this post. I'll give you an extra entry if you mention on Twitter (I'm @JoanneRFritz) and another entry if you mention on your own blog. Please let me know in the comments. This giveaway ends at 10 pm EDT on Saturday Sept 21, 2013 and the winner will be announced on Sunday Sept 22. "How will the world change if we do not question it?" News alert: Since I last posted, I became a published writer of fiction. Okay, so it's flash fiction and it's online, and I was paid all of $3, but it's a publishing credit. Visit this page on Every Day Fiction if you'd like to read my story. I have another story coming in September from Twisted Endings. So sorry I haven't been around lately. 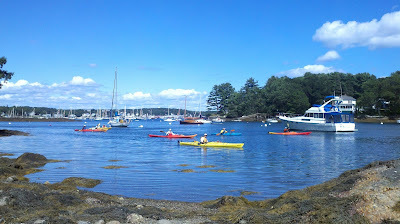 I'm back from my blogging break, which wrapped up with two weeks' vacation in Maine. My family and I live in Southeastern Pennsylvania. So why do we go to Maine, when we could more easily drive to New Jersey's beaches, or the Chesapeake Bay? I think a few photos will explain that. But enough dreaming about my vacation (sigh!). 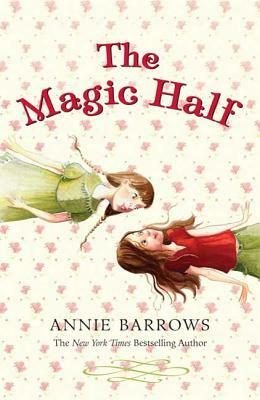 It's Marvelous Middle Grade Monday. 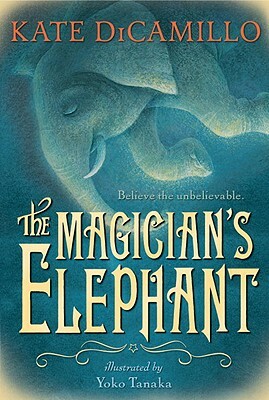 And on my blogging break, besides finishing a much-needed revision and blueprinting a new novel, I tried to catch up on some middle grade classics I'd missed. I bought these books from my friendly local second-hand bookshop. I recommend all three of these, though by today's standards, they're a wee bit old-fashioned. 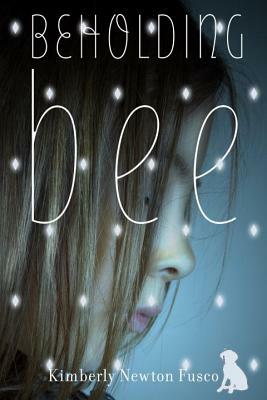 Synopsis from indiebound: This is not a fairy tale. 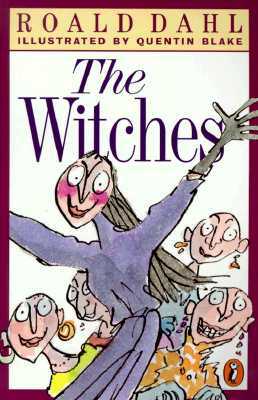 This is about real witches. Grandmamma loves to tell about witches. Real witches are the most dangerous of all living creatures on earth. There's nothing they hate so much as children, and they work all kinds of terrifying spells to get rid of them. Her grandson listens closely to Grandmamma's stories—but nothing can prepare him for the day he comes face-to-face with The Grand High Witch herself. My take: Like every Roald Dahl book, this is imaginative, funny, fast-paced, and well worth reading. Synopsis from Indiebound: Sam Gribley is terribly unhappy living in New York City with his family, so he runs away to the Catskill Mountains to live in the woods—all by himself. With only a penknife, a ball of cord, forty dollars, and some flint and steel, he intends to survive on his own. 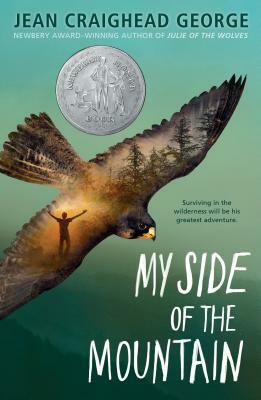 Sam learns about courage, danger, and independence during his year in the wilderness, a year that changes his life forever. Named a Newbery honor in 1960. My take: Lovely, in an idealistic sort of way. I've always enjoyed books about a kid on his own in the wilderness (Hatchet, for instance) and how he manages to make fish hooks, build a shelter, and figure out what berries to eat. I doubt real parents would be as unconcerned about his adventure as Sam's seem to be (but I was really glad his Dad came to visit him at Christmas). This is one of those quiet books that simply don't get published today. If you're looking for more excitement, stick with Hatchet by Gary Paulsen. Synopsis from Indiebound: Professor William Waterman Sherman intends to fly across the Pacific Ocean. But through a twist of fate, he lands on Krakatoa, and discovers a world of unimaginable wealth, eccentric inhabitants, and incredible balloon inventions. 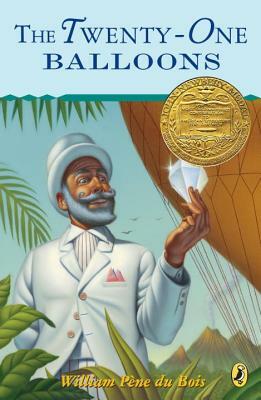 Winner of the 1948 Newbery Medal. My take: A fun, old-fashioned story, this felt like The Wizard of Oz meets Around the World in 80 Days. No one writes books like this anymore. For one thing, the main character is an old man, not a child. I'm not sure if today's kids would enjoy this, but I did. While in Maine, I read Neil Gaiman's new book, The Ocean at the End of the Lane, which is not for kids. But it's filled with gorgeous writing, so read it if you get a chance. Browsing is such a lovely thing to do, isn't it? For ten years, I worked in a huge bookstore, and yet I never had time to browse. If I wasn't helping customers, I was shelving new books or reshelving old books, straightening, alphabetizing, and working on the website. Now that I'm between jobs, I've rediscovered the joys of browsing. We had a lot of rain in June this year, and one rainy day I found myself at the library. Other than the rain drumming on the roof, it was quiet. Schools were still in session, so I had the middle grade area to myself. I usually head to the library with a specific list, and this time was no exception. Among other books, I found Shakespeare's Spy (which proved to be a thoroughly satisfying conclusion to Gary Blackwood's trilogy first mentioned here). But then as I wandered the stacks, a small book caught my eye. I'd never heard of it before, but I'd heard of the author. Impulsively, I checked it out. I love libraries. 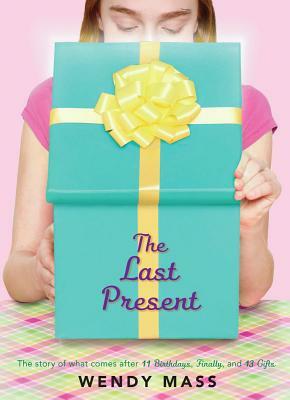 Synopsis (from Indiebound): Miri is the only single child in the middle of a family with two sets of twins--older brothers and younger sisters. When the family moves to an old farmhouse Miri accidentally travels back in time to 1935 only to discover Molly, a girl in need of a real family to call her own. Why I liked it: The time travel element, of course! Plus, Miri is a well-rounded, sympathetic character. Also, I'm the younger sister of twins. Apparently I used to ask my mother, "Where's my twin?" So this book felt like it was written for me. What treasures have you unearthed while browsing? MMGM is the brainchild of Shannon Messenger. Check her blog for the links, or look at my sidebar. Please note: Next week, I'll be taking a five to six week blogging break to get some writing and revising done, and also going on vacation to Maine for part of that time. But I'll be back after that with plenty of new book recommendations and some writing posts.